Certificates of Deposit are one of the most widely held bank investments. They are flexible, safe, FDIC insured investments that let you adapt to changing economic times without loss of your capital investment. 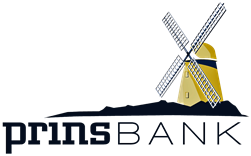 If you are interested in a truly worry-free investment, look no further that a CD from PrinsBank. Interest will accrue daily and be compounded and credited to your account per disclosure (monthly, quarterly, semi-annually, etc). You may elect to have your interest credited to another deposit account at PrinsBank or paid by check.